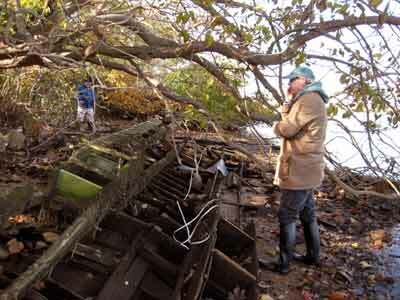 Over the past several years volunteers from MAHS have documented the remains of a vintage LCVP, or Landing Craft Personnel Vehicle as it was formally known in the 1940s and 1950s. The wreck lies on the banks of the Wicomico River in Salisbury, Maryland. The wreck was designated an archaeological site in 2006 and given the site number 18WC188.